As a follow-on to National Consumer Protection week, and the resources circulated as links in our blog post, please be advised of the following identity theft resource now available in Connect. 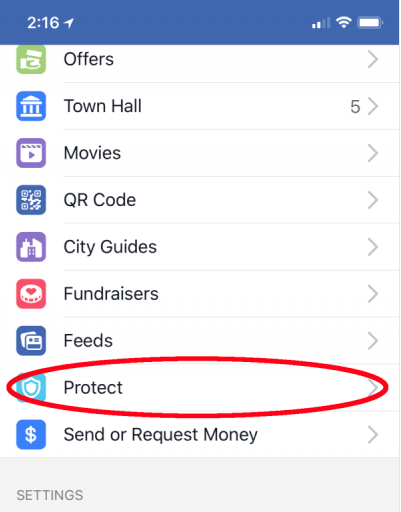 Facebook has a VPN app, Onavo Protect, for iOS and Android available to users and offered as a encryption solution to safeguard all information being transmitted over public networks. It is estimated that 33 million users have installed Onavo Protect on their phones. Based on reviews Onavo appears to be a reliable VPN service but please be aware that this app tracks and sends user data back to Facebook even when the app is not being used. This app has been dubbed “spyware” by some commentators. The application is accessed in Facebook by clicking on the main menu and scrolling through the “Explore” section. It displays as a light blue shield icon with the text “Protect”. Please be reminded that NYU VPN, which is available for use in certain locations, is available to all community members. NYU VPN will not collect information about your data usage, communications content, browsing history, transactions and sensitive information. National Consumer protection week, which begins today, is an ideal time to learn more about avoiding scams and understanding your consumer rights.